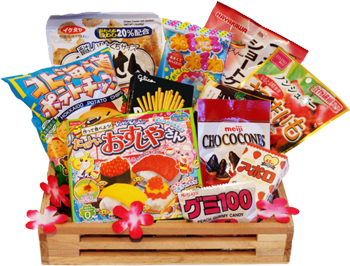 Japan Crate offers a box of crazy Japanese candy delivered to you every month. Japan has crazy candy. It’s hard to get that candy elsewhere in the world. Until now, as Japan Crate helps satisfy the sweet tooth of all nations with its monthly box of Japanese treats. The company is especially geared towards American fans of strange candy treats, as shipping is free to the United States. Elsewhere, there’s an additional shipping fee. The boxes themselves are relatively affordable, beginning at $12 for the mini box, then $25 for the original size and $30 for the premium. The latter box includes 2 pounds of candy, 2 DIY candy kits and 1 Japanese drink, so it’s well worth the higher fee. In terms of what actually comes inside the monthly Japan Crates, the contents differ. Japan Crates site mentions “sushi candy making kits” and “Vanilla Ice Cream Kit Kats” as examples. Although you can never be sure exactly what you’re going to get in your box, you can be assured that you probably won’t be able to easily find it in your home country. It’s an interesting business strategy for Japan Crates’ founders, but it’s especially relevant in this increasingly globalized world. There’s no reason the rest of the world should be deprived of “Chocorooms” or Hello Kitty candy. Japan Crate is the answer to all those needs.